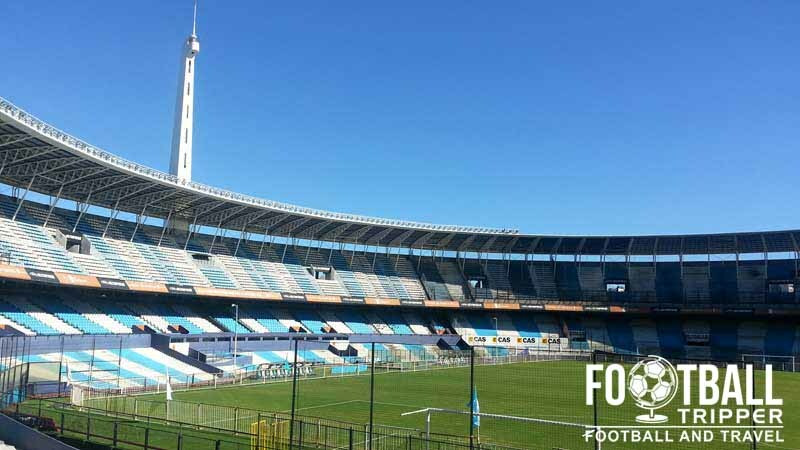 Estadio Presidente Juan Domingo Perón is the home of stadium of Racing Club de Avellaneda who are based within the greater Buenos Aires area and considered to be one of the big five clubs of Argentina. Known as El Cilindro by fans, the 51,389 capacity stadium was built in the 1950s with funding coming from the local government. Estadio Presidente Perón’s inaugural match was held on the 3rd September 1950 between Racing Club and Velez Sarsfield with the home side christening the newly built stadium with a 1 nil victory in front of over 100,000 fans. Constructed on the site of the club’s former home which was demolished in 1948, the size of the new stadium greatly eclipsed the original which had a capacity of around 30,000. 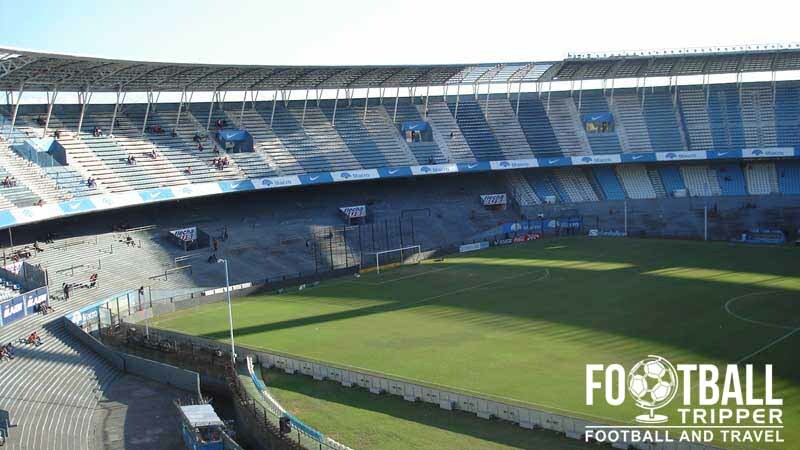 Known by fans as both “El Cilindro de Avellaneda”, Estadio Presidente Perón is essentially a uniform bowl shape with seating spread out across two-tiers. 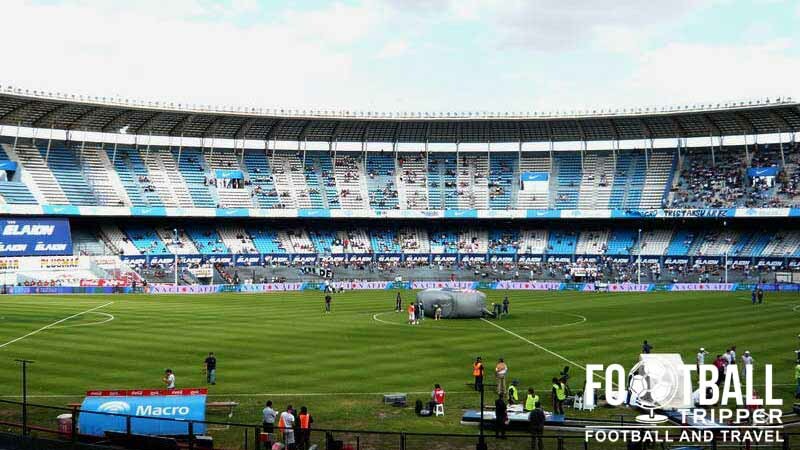 The cylindrical design allowed the stadium to be the first in Argentina to be completely covered by a roof, with the stadium also famous for being less than 300 metres away from Rival team Independiente’s Estadio Libertadores de América. 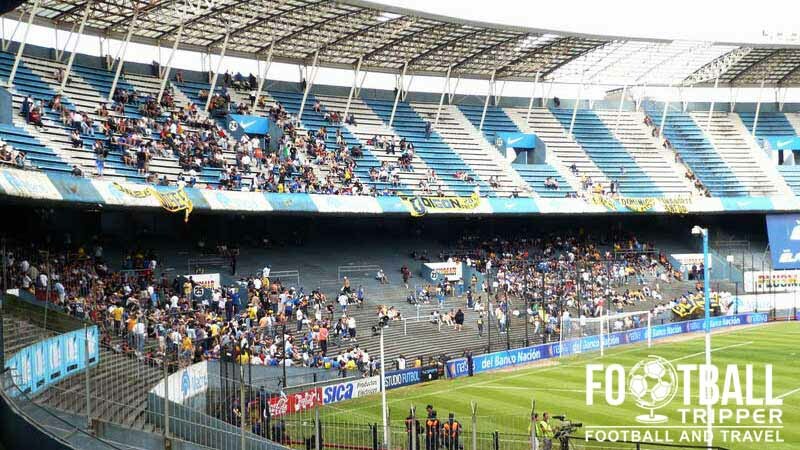 With increasingly stringent stadium safety legalisation, Estadio Presidente Perón has been characterised by a shrinking capacity over the latter part of 20th century. Essentially staying the same structural size throughout its history, the attendance record was set in the 1967 Intercontinental Cup when an estimated 120,000 fans crammed into El Cilindro to see the final against Celtic. The most recent renovations for the stadium occurred in 2004 when the obstructive perimeter fencing between the stands and the pitch was removed, resulting in a more intimate atmosphere. Two years before this an improved CCTV system was implemented which allows the club to better monitor spectator safety and incidences of crowd trouble with the translucent roof added in 1995 helping to brighten up both the terraces and playing surface. Estadio Presidente Perón is comprised of four stands: North, East, South and West.